Forget old-fashioned colouring books! Let the world of New Zealand art unleash children’s imaginations. Forget old-fashioned colouring books! Let the world of New Zealand art unleash children’s imaginations. Lateral thinking and creativity truly blossom when combined with robust technical skills – and this book delivers! Leading art educator Helen Lloyd developed and tested all the activities in this superb, 184-page publication in consultation with Acting Senior Art Curator Sarah Farrar. As well as highlights from the National Art Collection reproduced in full colour, there’s a feast of new works for kids by leading contemporary artists, specially commissioned for this book. Tried and tested on real children, this book will have adults reaching for their coloured pencils too. Winner of the Children’s Book category of the Multi-media and Publication Design Awards 2014. 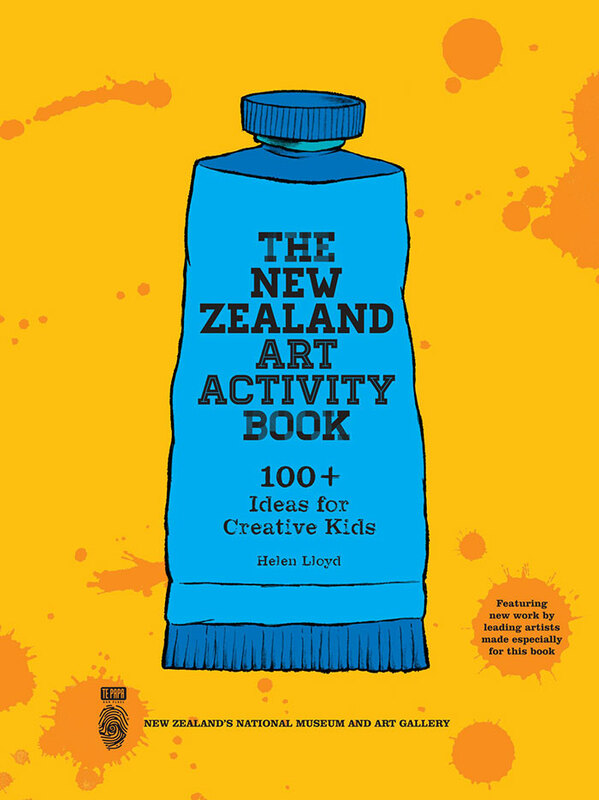 The New Zealand Art Activity Book: 100+ Ideas for Creative Kids is written and developed by Helen Lloyd, Senior Education Programmer at Te Papa, in consultation with Acting Senior Art Curator Sarah Farrar.